It is no longer a secret that industrialised societies have become overly dependent on fossil fuels. According to a recent study carried out by the Department for Energy and Climate Change, approximately 84.5 per cent of all the energy produced in the UK comes from fossil fuel sources, particularly from coal. As these resources continue to dwindle and electricity suppliers fight to keep prices low, policy makers and consumers have begun to consider alternative sources of energy, such as biofuels. But what exactly are the benefits of using biofuels to generate energy? And are there any disadvantages that should be considered? Biofuels can be generated from multiple sources, including plant and animal biomass, sewage gas, biodegradable solid waste, wind and solar energy, algae, corn, sugar cane, and soy crops, and paper waste. Virtually every country in the world has one or more of these resources, so by increasing the amount of locally produced biofuels, a nation can reduce its dependence on costly energy imports. For example, it is estimated that by 2020 the UK could be importing up to 70 per cent of the gas resources it needs, and therefore paying more due to distribution and transportation costs. Energy security directly impacts the budget of consumers, as these additional costs are passed on to the general public in the form of higher energy bills. On the other hand, using biofuels makes it easier for countries to protect and manage their own energy resources, therefore contributing to improved energy security. Research has shown that coal is the most polluting source of energy, as approximately 34 per cent of all CO2 emissions derive from burning coal to produce electricity. By contrast, the use of biofuels can help significantly reduce your carbon footprint. For example, biodiesel releases up to 40 per cent fewer CO2 when compared to gasoline, plus there are no sulfates (acid rain components) in this this kind of biofuel. The same can be said of ethanol, another commonly used biofuel. The large-scale production of biofuels could turn into a major source of income and employment for developing countries whose climate is suited to the production of energy crops, such as jatropha and camelina. Jathropa is a tropical plant that can resist droughts and whose seeds have an oil content of between 45 and 75 per cent, while biodiesels derived from camelina have already been tested in the aviation industry. Moreover, the energy crops required for the production of biofuels could also be planted in abandoned or contaminated land. A 2008 UN report claimed that indiscriminate biofuel subsidies have led farmers to growing energy crops instead of food. In the long term, declining food production could result in higher prices for basic foodstuffs, like bread or rice. Over the past decade, global food prices have increased by 104.5 percent, partly due to extensive ethanol-producing crops and to the pressure they put on the world’s water resources. It has been recently discovered that the energy required to produce certain biofuels could be much higher than the actual amount of energy they can generate. 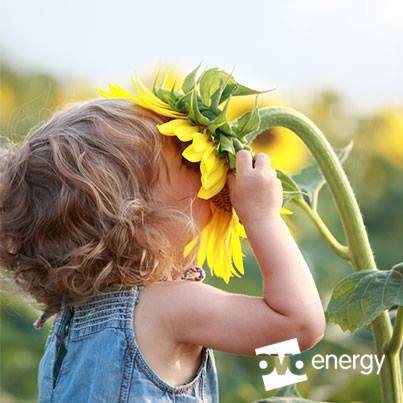 For example, once the cost of fertilisers, farm equipment, and transportation are taken into account, turning sunflowers into biodiesel requires nearly 120 percent more energy than it produces. Something similar happens with other energy crops, like corn, wood biomass, soy, or switchgrass. This means that the production of certain biofuels might not be sustainable in the long run.